A presentation of what lies at the heart of Pope Francis' pontificate, written by his friend and fellow Jesuit At the heart of Pope Francis' vision lies a keen interest in people, and a passion for understanding the life experience of others. This book by a longtime friend of the Pope clarifies the underlying thoughts and choices Jorge Bergoglio has made throughout his life in developing a culture of encounter that he now proposes as the basis for the rebirth of the whole church, and the world. This little book is essential reading for anyone wanting to contribute to renewal in the Catholic Church. "Diego Fares's book on Pope Francis's 'Theology of Encounter' will end any remaining misconceptions that Francis's papacy is without strong theological framework. 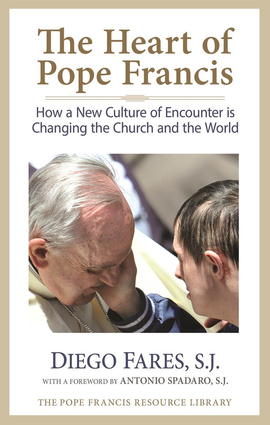 Fares develops Bergoglio's long development of a 'Culture of Encounter' as the basis of renewal in the Church." —Rev. Canon Andrew Ciferni, O. Praem. Diego Fares, SJ, is a Jesuit priest from Argentina. He is a professor of philosophy and theology, and the director of El hogar de San Jose, a home for the elderly living in the streets or in extreme poverty. He has known and worked with Jorje Bergoglio for more than 40 years. Antonio Spadaro, SJ, is a Roman Jesuit and a Vatican journalist.